Animas Chocolate & Coffee Company handcrafts chocolate to bring the beauty, nature and history of the San Juan Mountains into simple but elegant delights. The chocolates include designs and flavors that reflect specific aspects of the Animas River corridor, including Smelter Hot Chocolate Mix, the Twilight Truffle and the Mudslide Truffle. All the bars and truffles are handmade using simple quality ingredients and no added preservatives to create a fresh flavor in each piece. 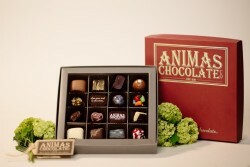 Animas Chocolate & Coffee Company currently provides wholesale, retail, custom and wedding/event chocolate options. All Animas Chocolate & Coffee Company products are created onsite at our920 Main retail location. 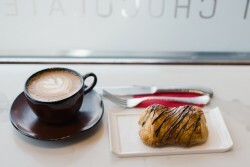 The retail store features all of the ACC product line, as well as a ‘chocolate bar’ where patrons can enjoy an espresso, tea, or hot chocolate while talking chocolate and coffee with friendly and knowledgable staff.